Zoner Photo Studio lets you take advantage of a variety of color presets. But if these aren’t enough, and you’re seeking even more tools for swift photo editing, give plugins a try. A plugin is software that serves to supplement other software and expand its functionality. In this article, we’ll take a detailed look at one of the most popular collections of plugins usable in ZPS: the Nik Collection. How Do You Install These Plugins? 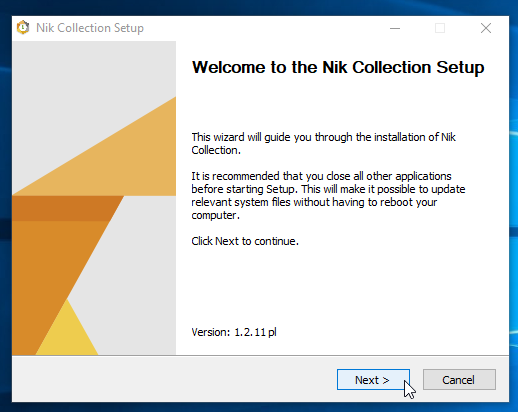 The Nik Collection was originally a set of plugins by Nik Software. In 2012, this company was purchased by Google. Since 2017, the company has belonged to Dx0, and only a 64-bit version of the plugins is provided. 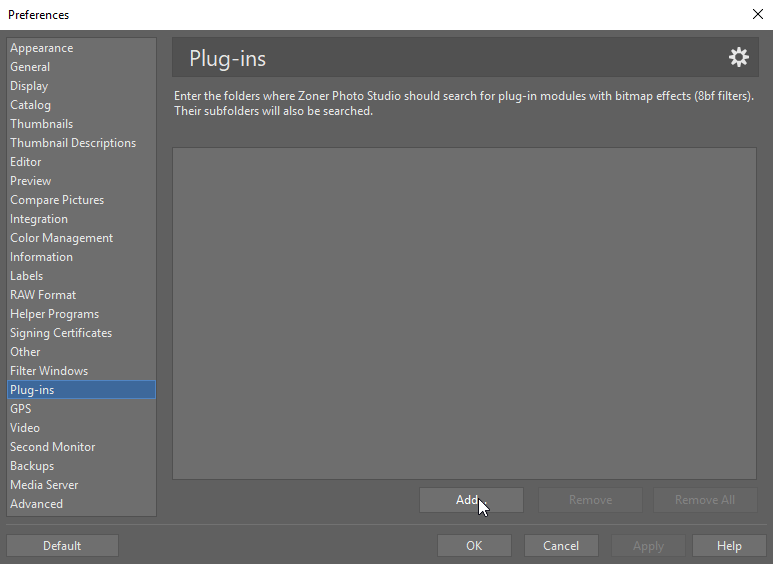 Zoner Photo Studio, meanwhile, only works with 32-bit plugins with an .8bf extension. Thus only the plugins’ older version from Google works in ZPS. However, this version does have the advantage that you can download and use it for free. Download and run the .exe installer file, and click Next in the installer until you reach the end. None of the settings need to be changed during installation. In the Editor, go to Menu > Effects > Plug-in Modules > Settings…. Both methods take you to the same window. In that window, click the Add button. Go to C: > Program files > Google on your disk. This location is home to the Nik Collection folder. Select that folder and click OK.
Add the plugins folder in the settings. The plugins will only start working after you’ve restarted ZPS. 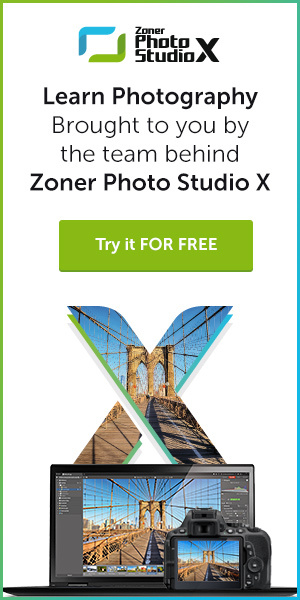 So close Zoner Photo Studio, start it again, and you can get started editing. 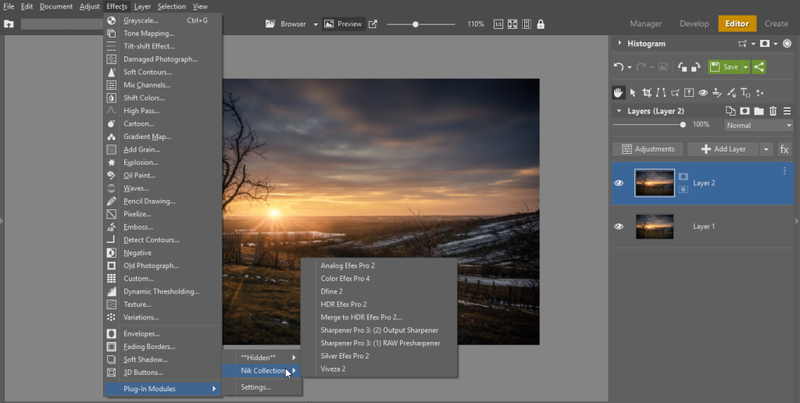 Open a photo in the Editor, roll down the Menu, go to Effects, and click Plug-In Modules. This rolls out a submenu with the individual plugins; to use one of them, click on it. The plugins are under the last item in the Effects menu. What Plugins Are in the Nik Collection? After you choose a plugin, a separate window with a preview of your photo and with the plugin’s controls is shown. The window’s left panel contains presets for the individual filters; use its right panel to fine-tune a specific filter. When you’re finished editing, go back to ZPS. Give the various plugin effects a try. Tip: Try duplicating your layer with the photo first, and then using the plugin on the duplicate layer, instead of straight on the photo. That way, you can tone down the effect later on, or hide/show the layer to see a before-and-after for your effect. Plugins Are Worth a Try! While these filters aren’t a good fit for every photo, they’re definitely worth trying out. Download Zoner Photo Studio X, try it free for 30 days, and give the Nik Collection or some other set of plugins a try. They just might help you find your own original look for your edits.